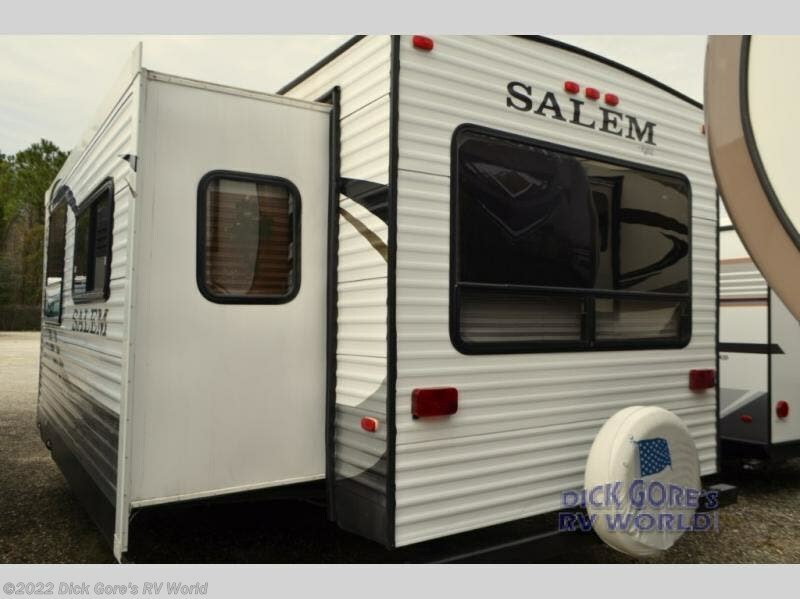 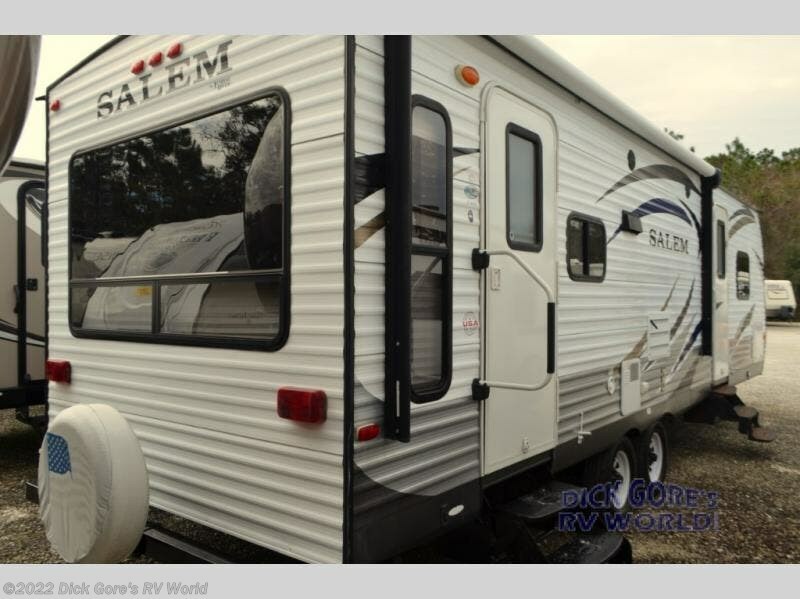 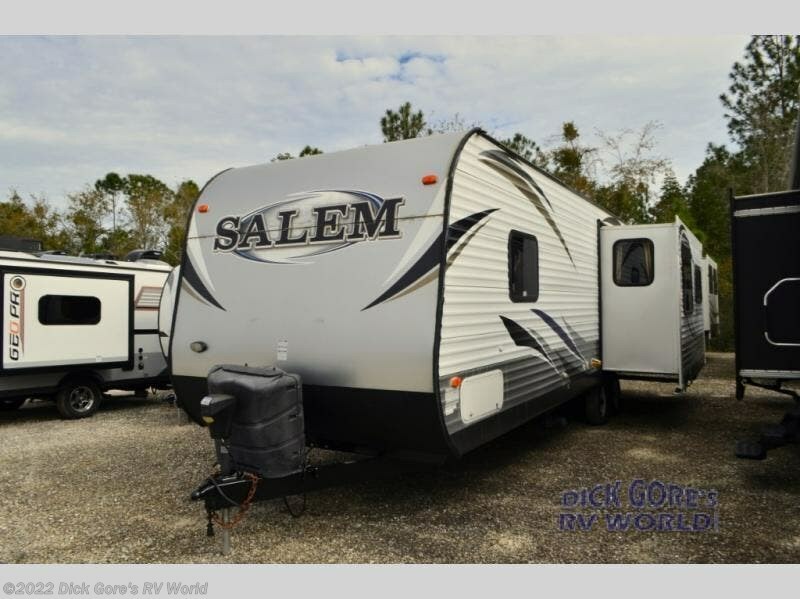 The Salem 27RLSS travel trailer by Forest River offers a single slide and a rear living area. 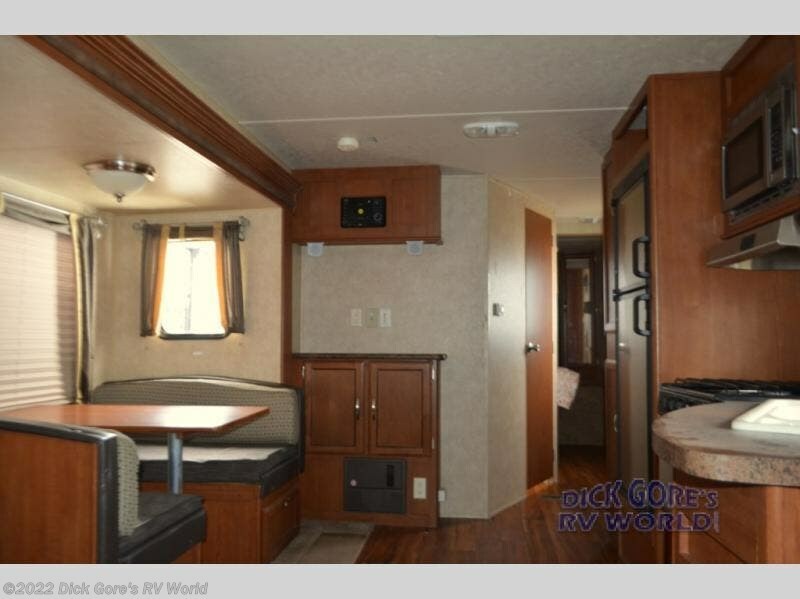 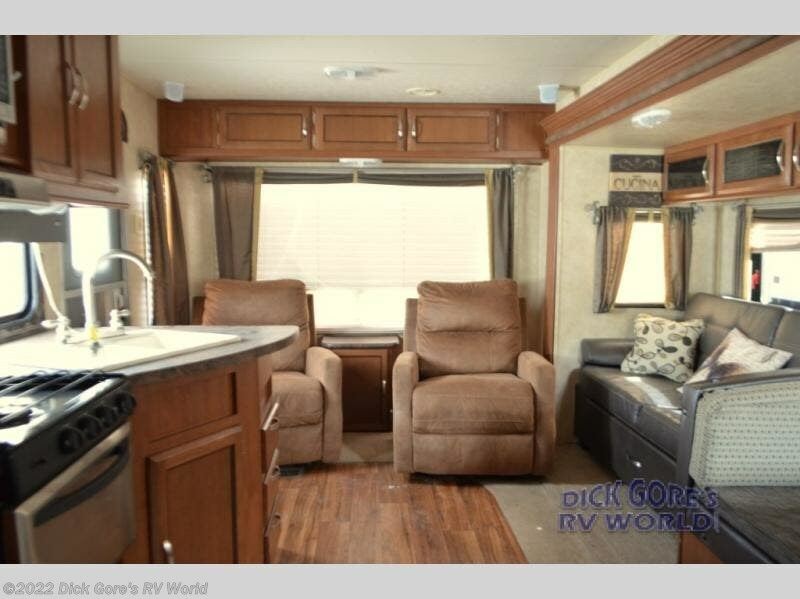 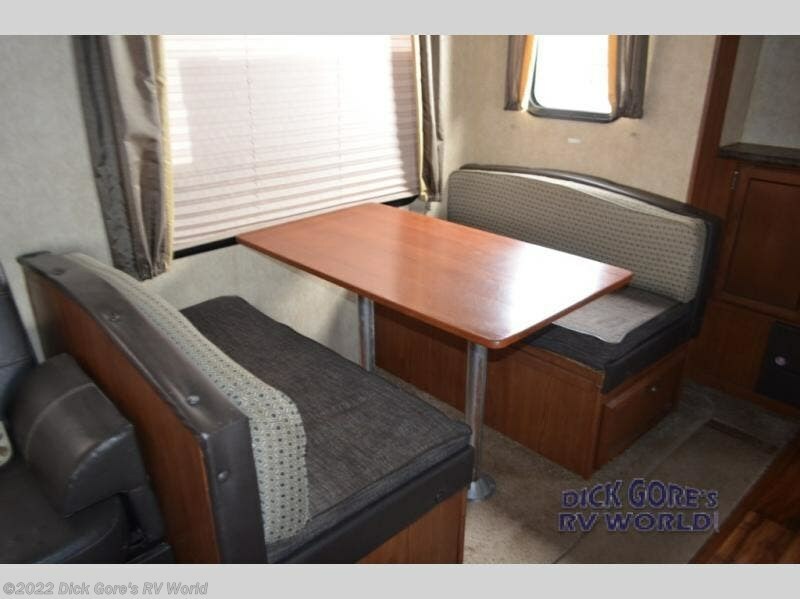 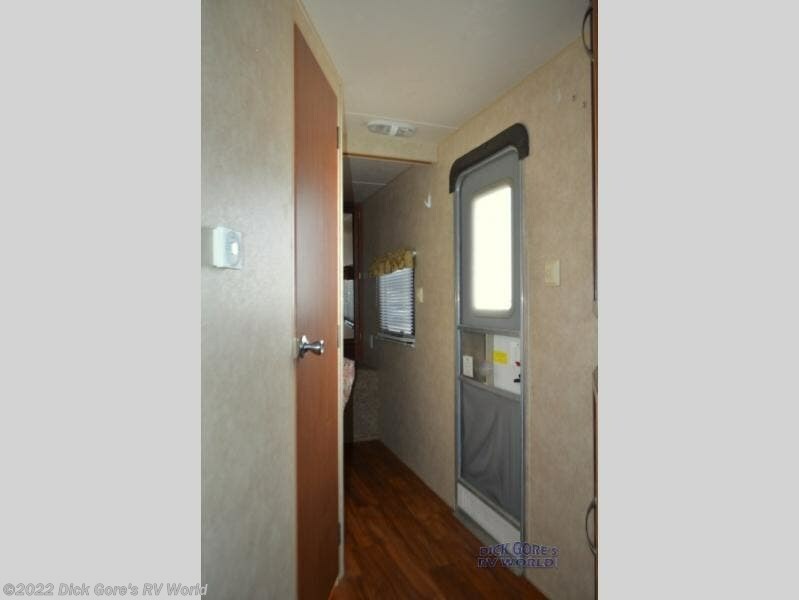 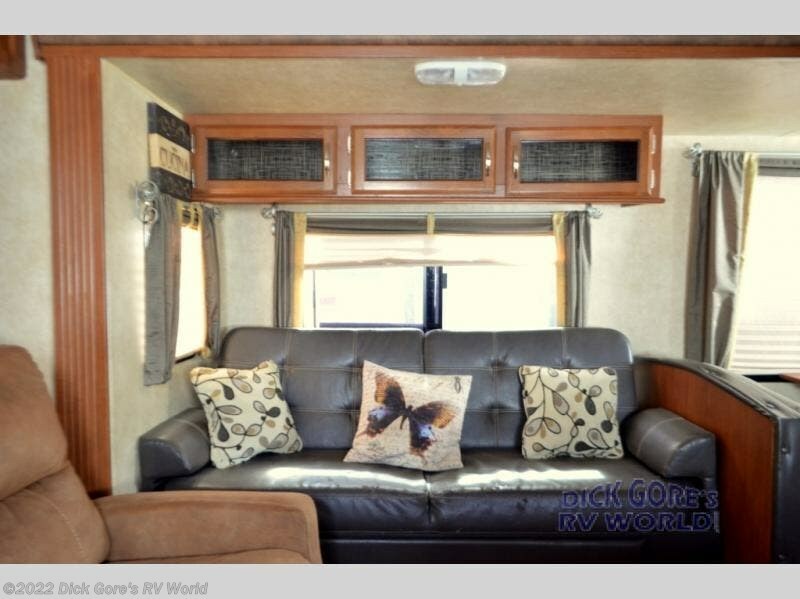 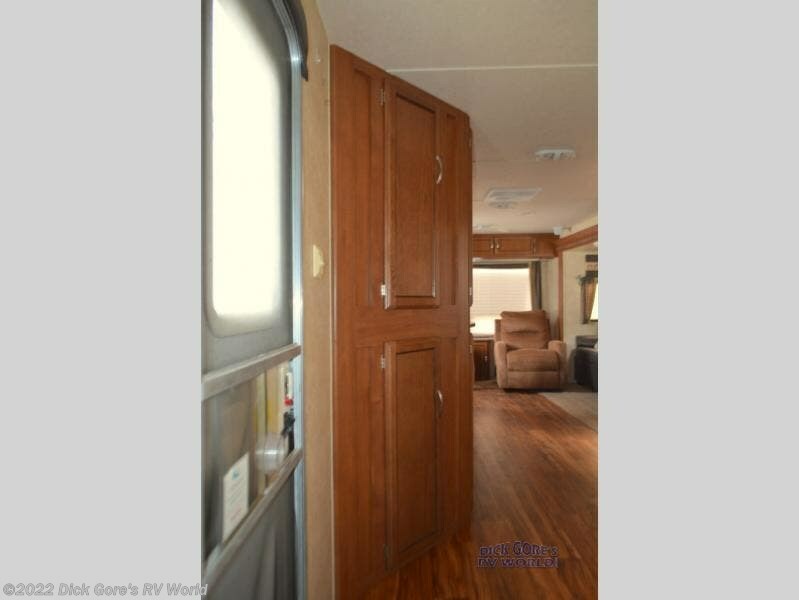 As you enter the travel trailer, along the rear wall you will find two lounge chairs and an end table. 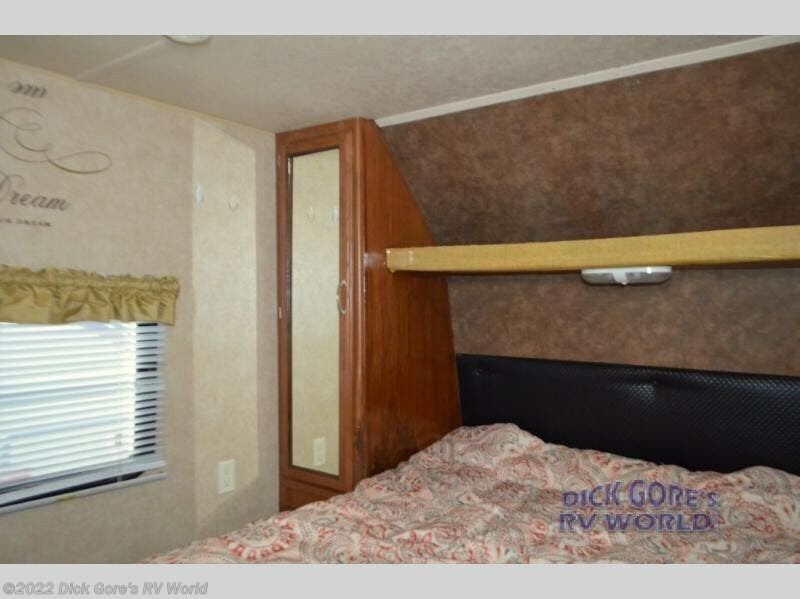 The slide has a sofa and a dinette. 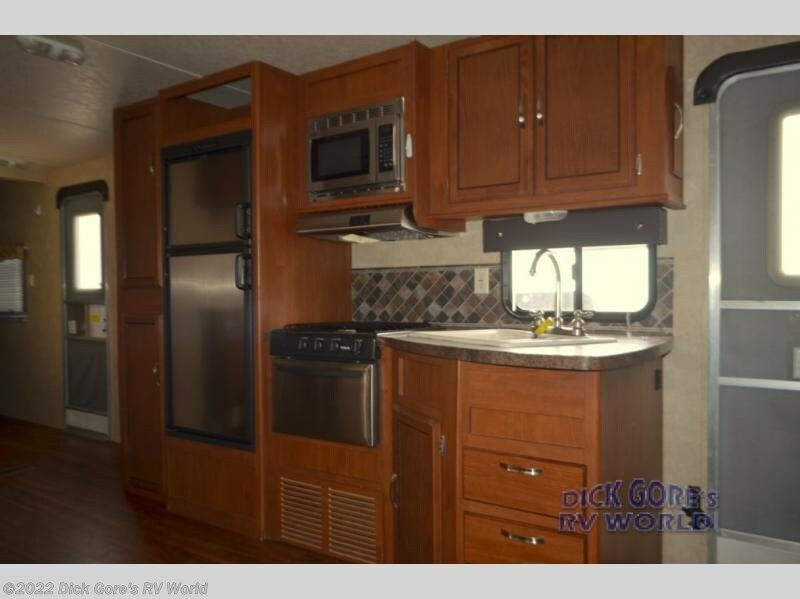 On the opposite side of the travel trailer there is a double kitchen sink, three burner range, microwave, refrigerator, pantry, and corner wardrobe. 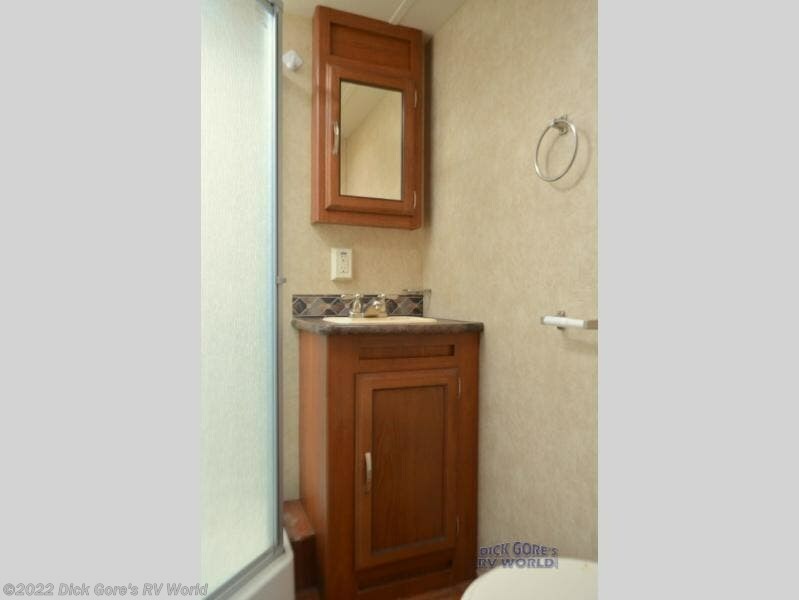 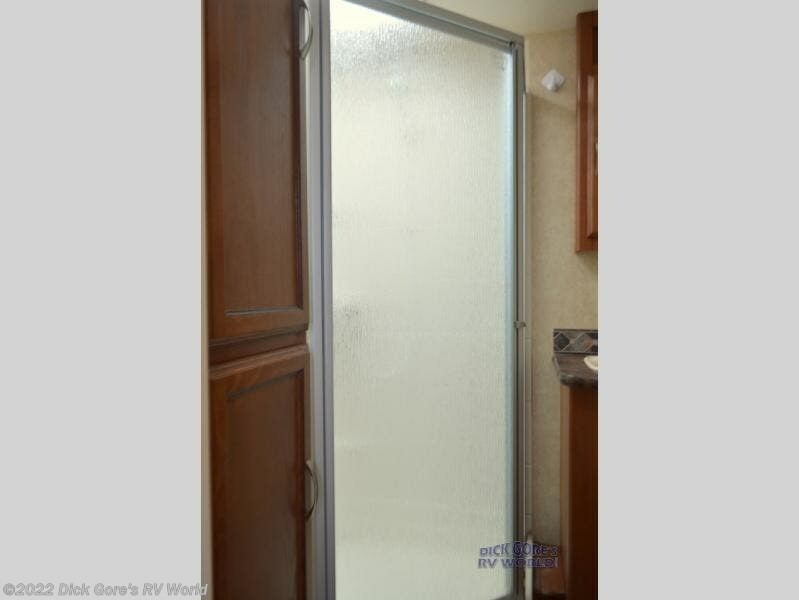 The bathroom offers a wardrobe, neo-angle shower, sink, medicine cabinet, and toilet. 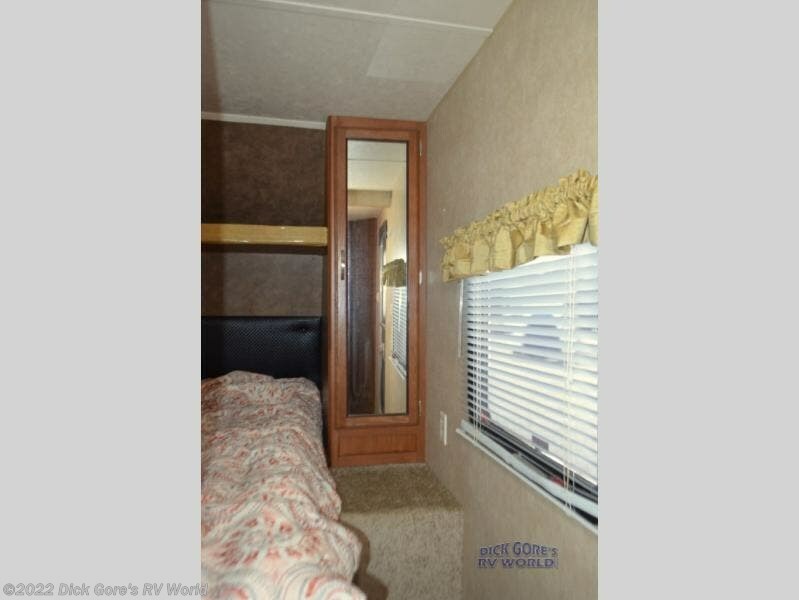 In the front, you will find the bedroom with a queen bed and wardrobe with drawers on either side of the bed. 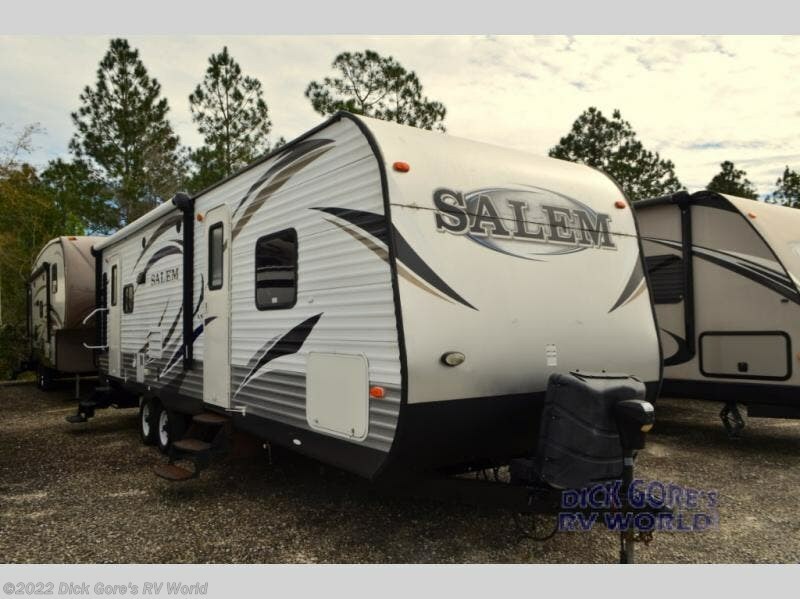 Check out Stock # EA310468 - 2014 Forest River Salem 27RLSS on forestriverrvsource.com!